← tomato soup for the soul. its never too early to start planning. Well, hello there. I know, it’s been a while since you’ve heard from me. I’ll start with- Happy New Year! Moving on- due to some of my most recent freelance work, I was inspired to put some ideas to paper for the ever confusing topic of “what do I get my *other* for Valentine’s Day?” Valentine’s Day can be as frustrating as thinking of new positions to put your Elf on the Shelf every day (too soon?). So, here are some helpful suggestions that might get you going on the right path- based on my experiences. Opinions here are my own- and do mostly apply to Seacoast NH/ME/MA, but you can use the idea for inspiration in your own hometown. I won’t tell. Disclaimer: I understand not everyone will have a Valentine come Feb 14. My suggestion is to not hate the holiday- roll with it. Indulge with a friend in any of these suggestions (well, many of them. Some might be a tad awkward). You can love in many ways- and I appreciate that fact! You can NEVER go wrong with spa treatments. Hey- I even got Brad to take in a pedicure AND a massage on our honeymoon. He might be pissed I am announcing this to the world, but he totally loved both. Might I suggest Buff and File for the hands and feet? The staff are always friendly, extremely talented and its a very cool and clean spot that let’s you make your reservations online! For massage, do yourself and your loved one a favor and book Marni at Portsmouth Spa. She has even put ME to sleep before! She has magic hands. You’re welcome. Skin- this is a tough one, as I personally get spoiled by many local spots in this area. I’ll keep it simple and make a list, which is in no particular order: About Face Medical Aesthetics, Making Faces and my new discovery Skin & Lash Lounge. For the hair, go for any one of the talented staff at Wink Salon and Spa. Jewelry. This is a very personal gift, as not everyone is alike in taste and budget. Might I suggest contacting Rachel at LYNX by RC? She designs, infuses with Reiki (healing properties), and hand makes each and every piece that goes out in Portsmouth, NH. Unlike a high end designer that will stick a price tag on a piece to reflect the brand name, Rachel uses each semi precious gemstone to personally talk to it’s wearer through it’s metaphysical properties. Each stone has a meaning and a purpose- while also looking stunning on the wearer. For example, my husband has bad arthritis all over. I discussed this and his idea for style- and she created two pieces for him that he rarely takes off! Trust me when I say I can see a difference in him. She makes matching pieces- connecting you to one another, and pieces that inspired her by the beauty of her surroundings. If you don’t find something that you think your person might like- message her. She can ask the questions she needs and design the perfect piece(s) for you within your style and budget. I’d get your orders in early- as she tends to book up quickly. I love dimly lit restaurants for Valentine’s Day- ones that are romantically lit by candlelight. No one wants to sit in a bright restaurant with a dozen other strangers when you’re trying be romantic. Might I suggest the following places: Cava, Mombo, Anneke Jans, The Black Birch (side note: get there early, they don’t take reservations and there is often a line! ), Ship’s Cellar Pub at the YHI (it was designed to look like the inside of a ship! ), and Cure. Fun Fact: The first Valentine’s Day with Brad he took me to Mombo. 5 years later it was the location for our wedding reception. Is your significant other an activity lover? How about Ice Skating at Strawberry Banke? Grab a cup of hot cider and enjoy the times you slip and fall into each other’s arms! Perhaps go somewhere for a slice of chocolate cake after? French macaroons! I found a new spot, La Maison Navarre, in downtown Portsmouth. Unless you and your partner are off sugar, this is a win-win for everyone involved. A less expensive option can be found at Trader Joe’s in the freezer section. They are just as good, but obviously not as fresh or offer as many flavors. Hire a personal chef for dinner – stay in, while enjoying the spoils of going out, OR take a cooking class. We had an amazing experience with For the Love of Food & Drink out of Kittery, ME. The food is delicious and the owners are a lovely married couple, Bill & Wendy. 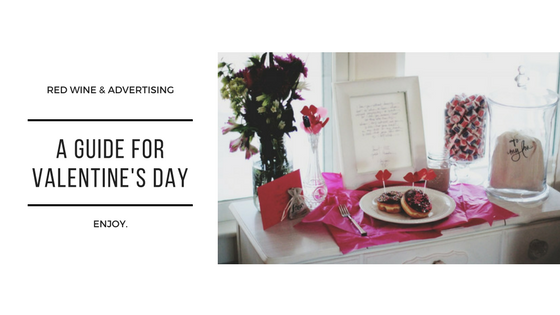 Write a hand-written Valentine and leave it in their car for when they go to work in the morning. The unexpected message gets a smile 100% of the time. Brad does this for me and every time I am surprised- and carry them with me to reread. Paint and sip wine together! I have not done this, but have always wanted to. I have walked by this “Painting with a Twist” in downtown Exeter many times, but have yet to go. Perhaps 2018 is the year! Last but certainly not least is for the extremely frugal couple. Since February 14th is on a week day this year, IF your employment allows for it- play hooky together. Take the day off and PLAN to spend the entire 24 hours in bed. I don’t mean that completely sexually, but make it fun: breakfast in bed, sleep a little more, watch cheesy movies you both secretly love and share the laughter (or tears) of watching together, binge on Netflix, give each other massages, cuddle, and sleep more. The point is to be together in the simplicity of doing just that- being together. It’s the most inexpensive option and if you present it correctly- could make for a very romantic holiday. Sounds like heaven to me. I’d add more as I think of them, but this is a good list to get you started. Feel free to give me ideas or suggestions you may have! 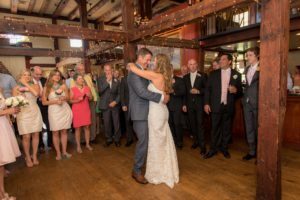 This entry was posted in dating, love and relationships, reality, sunshine and tagged blog, Katie Schmidt blog, katie von haden, Love, maine, Massachusets, relationships, Seacoast NH, valentine, valentines, valentines day. Bookmark the permalink.